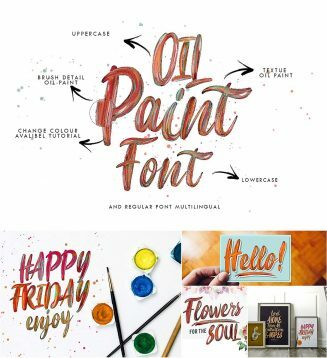 low Oil Paint – is an oil paint font, which uses brand new technology that makes way for more authentic looking fonts and is sure to grab the attention of customers and designers a like. File format: .otf, svg, .psd for Photoshop or other software. Tags: brush font, colorful, fun font, oil, oil font, paint, svg, svg font.